For all the conveniences and comforts of modern life, there's no denying that we're also seeing a steady increase in obesity as well as various other health conditions. Luckily, many of us are becoming more and more aware of our bodily health and how we can use what we have at our disposal to keep ourselves fit, happy, and healthy. Juicing is an awesome way of using one of the creature comforts we now have easy access to in a positive way - to easily give ourselves a huge boost of quality nutrients with minimal effort and time. Even if you're not an avid juicer already, you've probably heard the rave reviews from those who are. Maybe that's why you've ended up on this site. 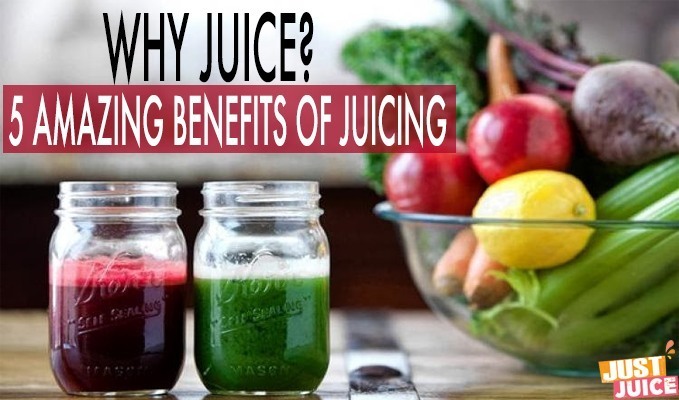 Well, in case you aren't completely convinced yet, here are some benefits of juicing to introduce you to the wonderful world of juicing. If these don't get you juiced up, we don't know what will! Many people struggle with a slow digestion at least once in their lives. According to Web MD, nearly 40% of older adults have one or more age-related digestive symptoms each year. These bouts of indigestion are caused by various factors, including medications, inactivity, dehydration, and even just plain old aging. The truth is as we get older, so do our colons, digestion tract, and even the processes of our digestive systems, making digestion a more tedious process than it used to be. A huge advantage of the fresh juices you put into your system from juicing is that they hardly require any digestion. When you juice, you use more fresh fruits and vegetables than you could actually eat. And all the dense nutrients - vitamins, minerals, and plant-based nutrients - are jam packed in the juice and able to enter your system rapidly, bypassing any traffic jams of your digestion system. No constipation, just nutrients. Heaps of them. One of the primary causes of aging is oxidation. Think of oxidation as you would the rust that develops on a bicycle or what happens to a freshly sliced apple when it is left out for a few minutes. Aging in our faces and bodies happens in a similar manner. Our bodies come into contact with free radicals both from our environment (cigarette smoke, pollution, radiation) and from our bodies' own metabolic processes. These free radicals can be understood as needy little thieves who really, really want an electron so they go and attack the nearest stable molecule and "steal" its electron. The attacked molecule, in losing its electron, then becomes a free radical itself and needing an electron, goes and attacks another stable molecule. Once this process is started, it can easily cascade, resulting in the destruction of a living cell. This is where the importance of antioxidants comes in - without antioxidants to neutralize the free radicals, the free radical production can become excessive and damage can occur. Want juice recipes chock full of antioxidants? Your cardiovascular system is simply your heart and the many crucial blood vessels that pump blood to it. 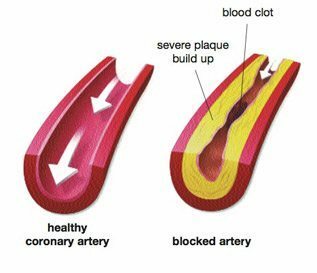 As you probably already know, it's important to have unclogged, freely-flowing arteries that allow your blood easy transit. Juicing is an incredibly efficient way to provide your body with much-needed nutrients from foods that you may not have the time to prepare and make to eat. Some of these nutrients are antioxidants such as vitamins C and E - both of which prevent the damaging effect of free radicals in your body, in particular your artery walls. These antioxidants prevents your blood from sticking, clotting, or becoming toxic while simultaneously lowering triglyceride levels. Triglycerides are the most common type of fat in the body and are linked with heart disease, diabetes, and the buildup of fatty deposits in artery walls. Fresh juices also contain a variety of other nutrients - such as potassium and magnesium - which are crucial for proper heart function. 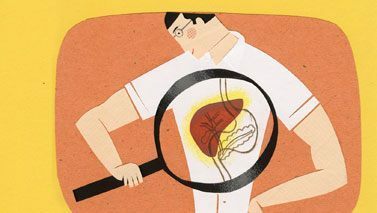 The liver doesn't get nearly enough attention, but don't mistake its lack of celebrity status as a sign of its unimportance. The liver has hundreds of important functions, all of which are essential for optimal health. One of the liver's most crucial functions is cleansing your blood by removing toxins and metabolic wastes. Considering the amount of toxins we're exposed to on a daily basis - breathing in smog, pollution, cigarette smoke, not to mention the products we put on our hair and skin, and even some of the food we eat - it's important that we pay proper attention to the health of our liver. We need to keep our livers clean if we want it to keep us clean. Fresh juices full of nutrients such as antioxidants and other vitamins are incredibly helpful for the liver. Did you know that the biggest cause of premature aging - i.e. wrinkles - is caused by damage from our environment, such as damage from sun exposure? And this is where antioxidants come into play yet again. Antioxidants are immensely helpful in helping our skin to combat skin damage from free radicals, such as those caused by UV exposure. But veggies and fruits don't just contain antioxidants for your skin and hair - they're chock full of phytonutrients that boost your looks. Vegetables such as kale, spinach, and asparagus are rich in riboflavin, which a deficiency in commonly causes cracked lips, hair loss, and skin problems. A lack of vitamin A in our system is also responsible for a host of beauty problems, such as acne, dry skin, dry and coarse hair, and even dandruff. Carotenoids, which is found in most fruits and vegetables, promote skin smoothness and combats skin problems by acting as a precursor to vitamin A (our bodies convert beta-carotene to vitamin A only to the degree that we need it) which strengthens our skin, hair, and nails. Carotenoids found in most fruits and vegetables have even been known to boost a rosy complexion. Great site, sooo glad it’s here!!! Lots of good info.!!! Thanks, Howard! Glad you stopped by!